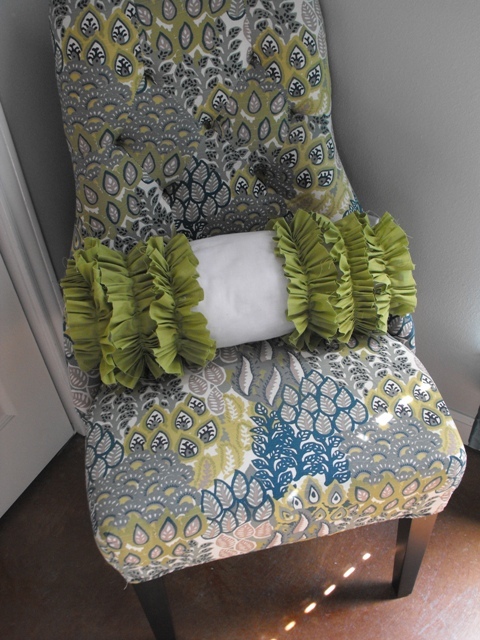 Maddy's new chair was just begging for some ruffles and fluff...ha! 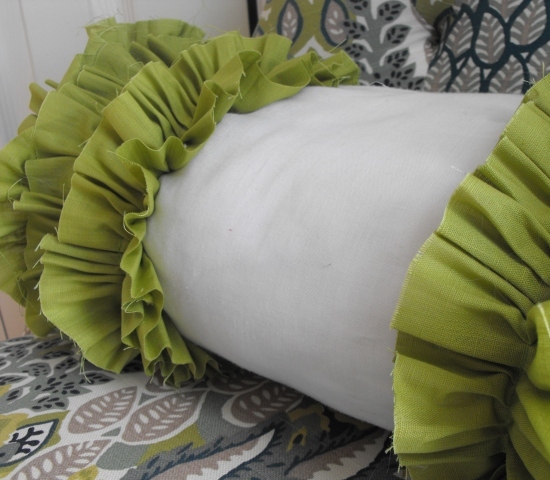 You may remember when I shared my ruffle pillow DIY here. I just removed the pink fluff and reused her pillow. 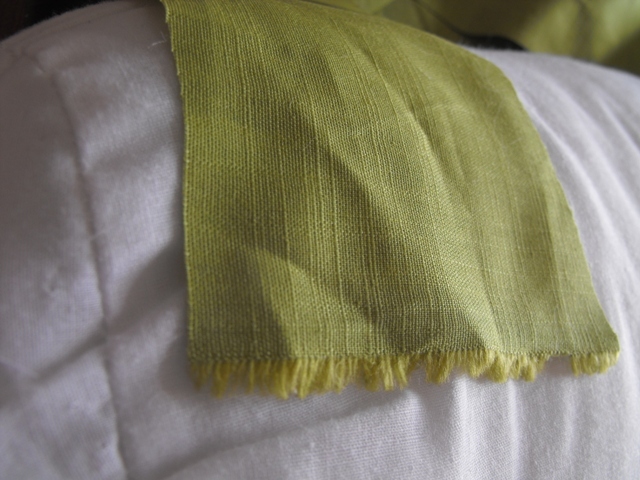 I cut strips about 3" in width using the entire length of the fabric. Or would that be width? Now that I have confused y'all including myself.. good gravy! I gathered the strips and did a single stitch right down the center. We like the frayed look. This go around I left the center of the pillow plain. 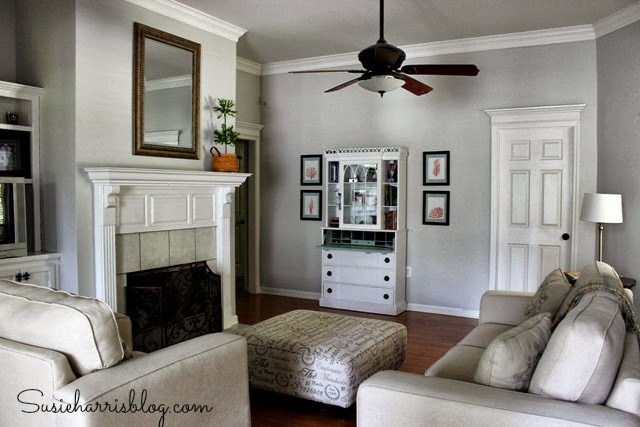 I liked the look of the white showing. This project took maybe 45 minutes and was fun to boot! I started with a place mat that coordinated with her chair. 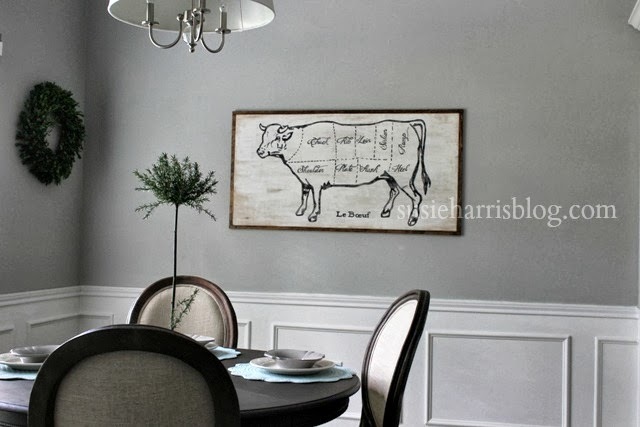 My sister shares the DIY here. 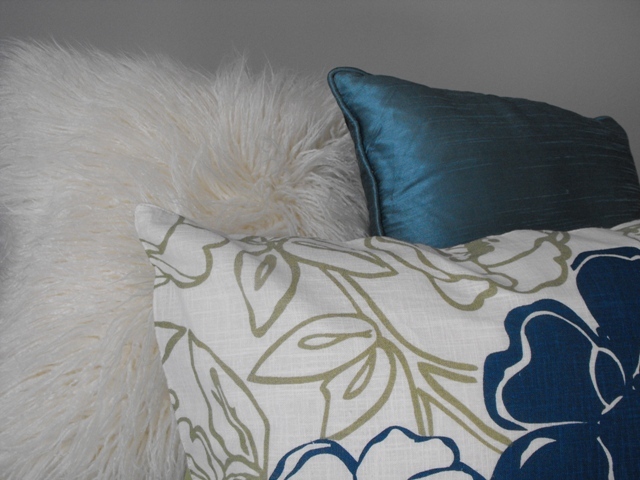 Not only are we adding color this go around....texture is a must! 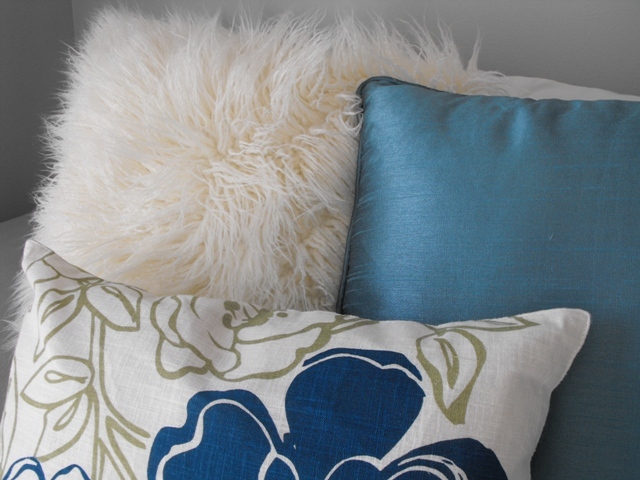 Nothing like a fur pillow to jazz up a space. Fur pillow is from Target. 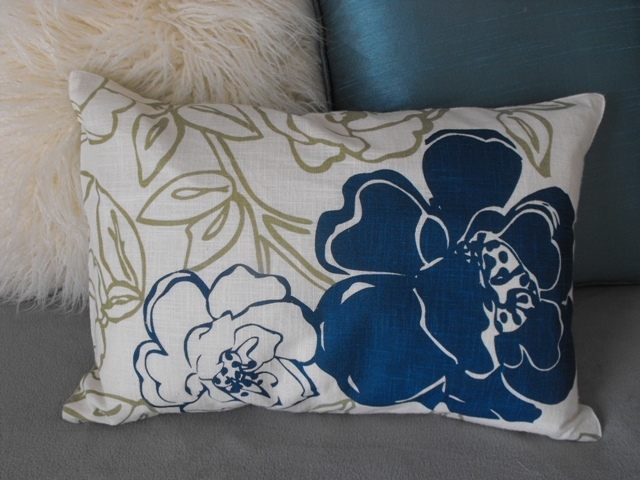 Blue silk and place mat pillow from World Market. 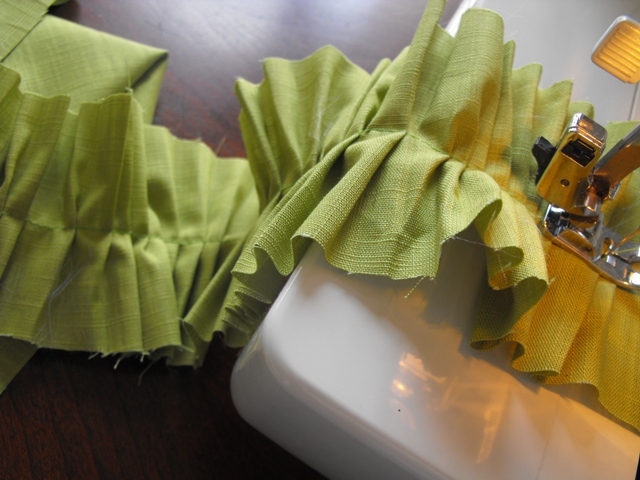 The lime green ruffle is adorable! 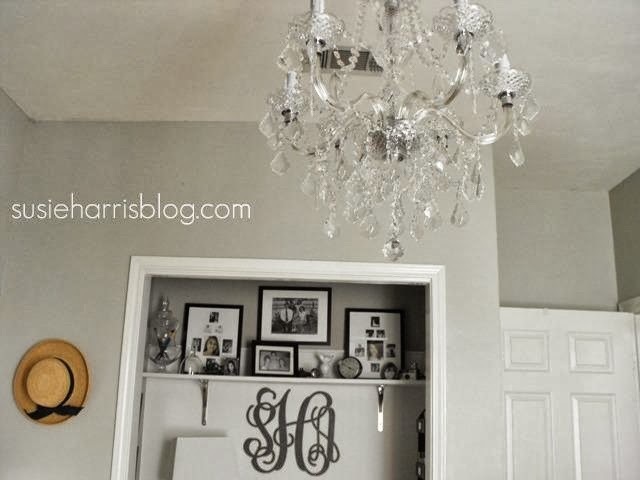 I also love the frayed edges, looks great! And the title is perfect . . . 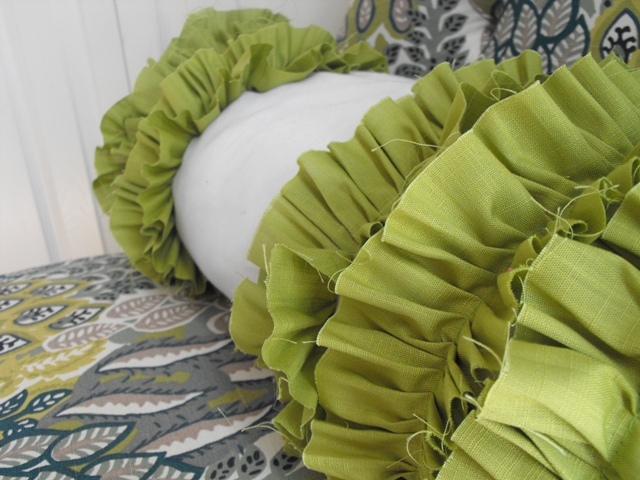 I love the lime ruffles....way cute! 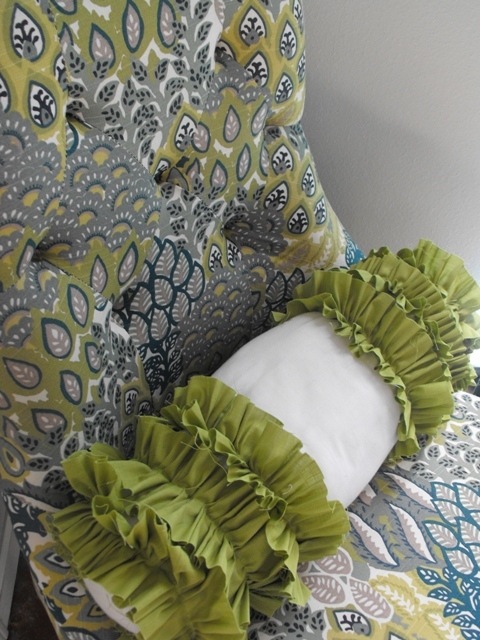 My daughter would love the lime ruffles and the fur pillow! 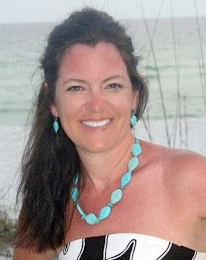 Susie, I love this color combo. You and Melissa make a great team! I know the room is gorgeous!! We love a good fur pillow too. We have one in our library and just love it! Hope you're having a great start to the weekend. Lime green. Now you are talking my color. Love the combo with that beautiful indigo blue. 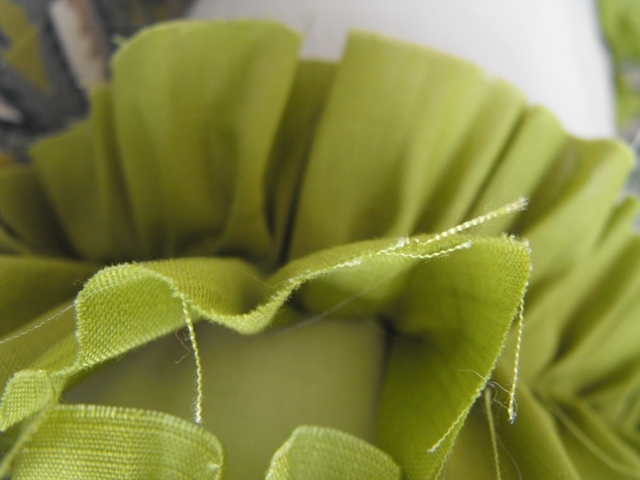 Love the raw edge ruffles. Thanks lot for this useful article, nice post..